Too much stuff cluttering your life? Need a temporary home for that grand piano? Between homes and need to store the entire house? 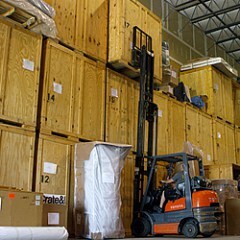 Lowell’s Moving & Storage blanket wraps and places your property – be it furniture, artwork, fine china, professional records, and other non-perishables – and stores them in our 12,000 square ft, climate controlled, wood vault facility. Our storage solutions offer you the peace of mind that your valuables will be safe and secure when you’re ready for them. All items are carefully inventoried and secured. You can feel confident your precious items are protected from the winter cold and the summer humidity. You can rest assured that our facilities and storage practices will guard your valuables from the damaging elements of nature. Need packing & crating help? Let our professional staff carefully pack and crate your valuables.